The Yvonne L. Bombardier Cultural Centre is currently devoting its exhibition space to the works of Paul Béliveau. Renowned for his postmodern engravings, drawings and paintings, this year marks his 40th anniversary as a professional artist. In recognition of that fact, the Cultural Centre is mounting a wide-ranging retrospective, showcasing the different series he produced between 1998 and 2018. The images and sculptures in question are part of the following series – Cantus, Les Éphémères, Museum, Drone, Nightwatch, Capture, Vies parallèles, Vanitas and Les Autodafés. They illustrate how the artist, using a humanistic approach, transforms iconography from the past and turns it into something entirely new. 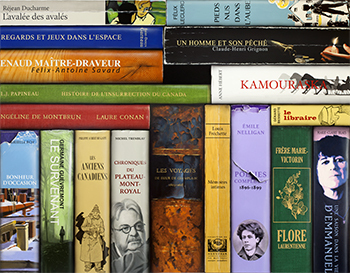 Mémoires émergentes – a must-see exhibition this fall!